The following is a guest post by Ashley Kornee. Ashley is a blogger and freelance writer. She always tries to write about ordinary things in a creative way. She’s currently working as a writer for dissertation writing services. You can find her on Facebook and Twitter. Facebook is one of the largest social media platforms available for free with over 1.04 billion users. This makes it one of the most efficient and most importantly one of the best free ways to promote your brand. 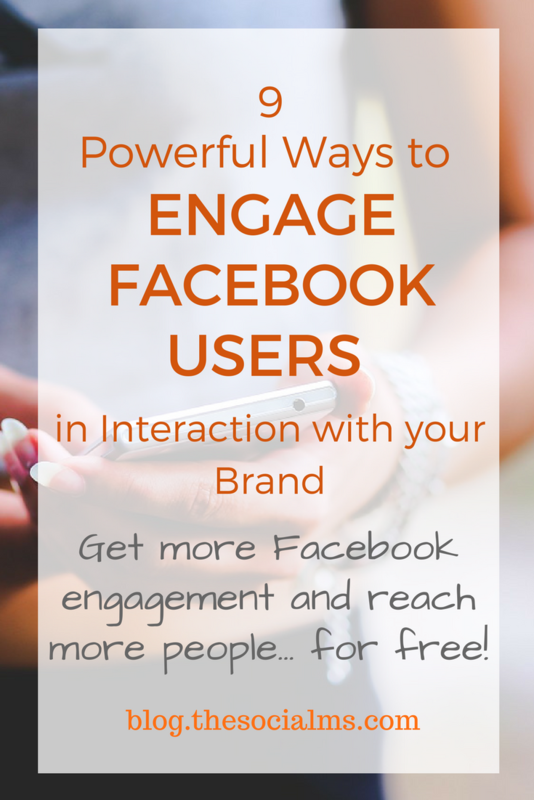 Are you looking for some simple and quick ways to engage your Facebook audience? Here are a few ideas that do not include Facebook ads. Contrary to what you might believe, most of your posts might be uploaded at the wrong time. Timing is key if you wish to succeed and you need to keep in mind that the time you think is right for you to post might be terrible for most of your followers. It’s essential to know that you shouldn’t update your wall post at times where people could be sleeping, or be at work, as very few people will actually see it. 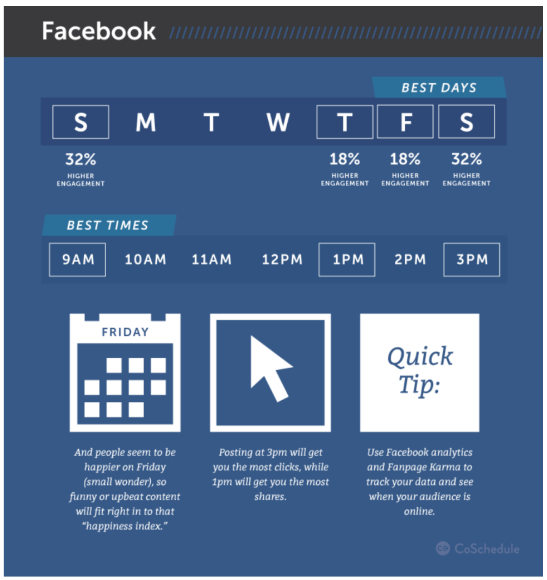 The best time to post would be at around noon when most people are at home after work and free to scroll through Facebook. Experiment with when you post. There are some tools online that allow you to check when people share or like your posts the most. You can use this tool to your advantage to pick a time that people are the most active. Pictures always seem to catch the eye of Facebook users and they are a great way to make your audience interact with your brand. Use pictures of your products and let people know what each product does. Another idea on this matter is to add pictures of your employees or coworkers as well as your customers who have used your products or services and were satisfied. This will allow your potential customers to get an inside look at your company and feel closer to it. Last but not least, ask for people to review your products and let them know they will gain a shout out and have their picture shared on your company’s page if they do so. This is a great way to interact with your audience and build a relationship with them. Most people are very excited to see that their favorite brand is having a giveaway. They will not only participate in it themselves but they will also want to invite their friends to participate in it as well. You can use this to your advantage very easily if you wish to promote the interaction with your customers. Giveaways are not only a great way for you to get more followers or likes, but they can also allow your potential customers to try your products for free and let others know how they enjoy them. 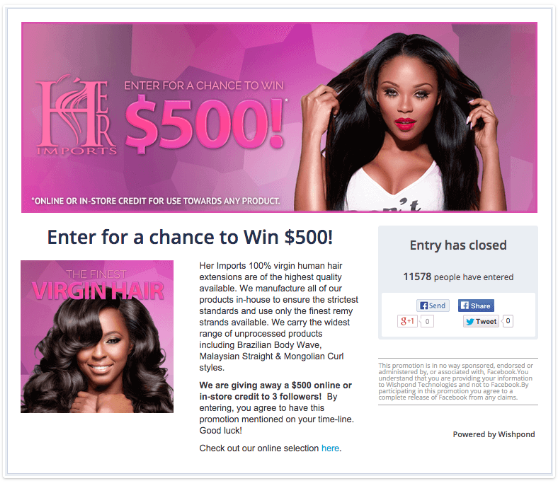 Don’t forget to ask the winners to post a picture of the products they won on their Facebook wall. Friends and family that will see that post will also want to have a chance to win something for free and they will become members of your Facebook page too. Polls and asking your audience questions can be a great way for you to enhance your communication with them. You can always either start by posting two of your products that are quite similar and ask people to choose which one they personally prefer. You can also make it a little more interesting and interactive by asking them to choose between things like famous travel destinations, food choices or anything that might seem engaging to your followers. This can be a great way for you find out what your followers prefer so you can create more meaningful content for them. 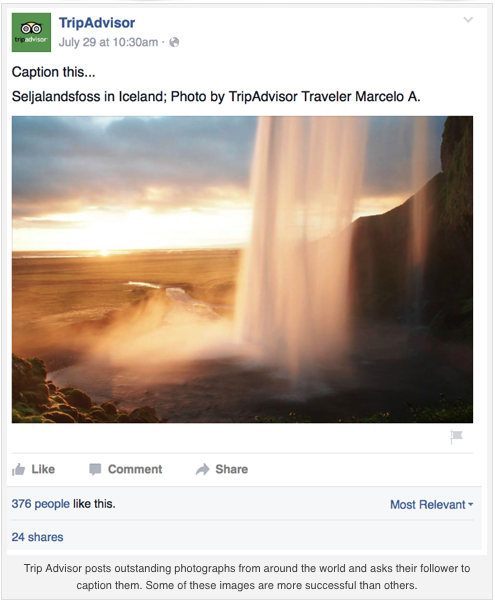 Not every post has to be 100% relevant to your brand or promoting it. You should focus on making your audience interested in your posts and the rest will follow. People nowadays are all about hashtags. Especially when it comes to younger people, they always like to add at least one hashtag to their own Facebook posts. This also applies to their Facebook comments, where they will also use hashtags very frequently. You can use this fact to your advantage by asking people to comment down below using a particular hashtag as a comment. For example, have them describe their first love using a hashtag, or their favorite song. You can definitely come up with many ideas and even make it a weekly post where people can expect to reply with a hashtag to one of your wall posts. One of the most important things to remember if you wish to increase the interaction between your followers and your brand is to always reply to their comments. People like to ask questions and they like to know that they get the attention they want. By replying to their comments, you offer your brand a “voice” and you make it more approachable. People are more likely to comment on your posts if they know that you will get back to them. It’s also good to reply in a polite and respectful manner. Your audience is bound to feel welcome by your brand and is more likely to keep following your posts. Even if you come across the occasional trolls that always post on various pages just to get some attention, keep being respectful and you will still gain a lot of support from your audience. Most people don’t have the time or the patience to sit down and actually read a post that will take more than a few moments for them to go through. National Public Radio (NRP) had decided to study a long list of their Facebook posts, over 3000 of them actually, and they came to find that the posts that were under 120 characters had higher click-through rates than their posts that were longer. Keep this in mind and try to only add information that you believe to be essential in your post. If it’s simple and to the point, people will go through it easier and understand it better. They will also be more likely to like it or comment on it as it won’t take up that much of their precious time. Another thing to bear in mind is to keep posting frequently on your Facebook page but at the same time not overdoing it. 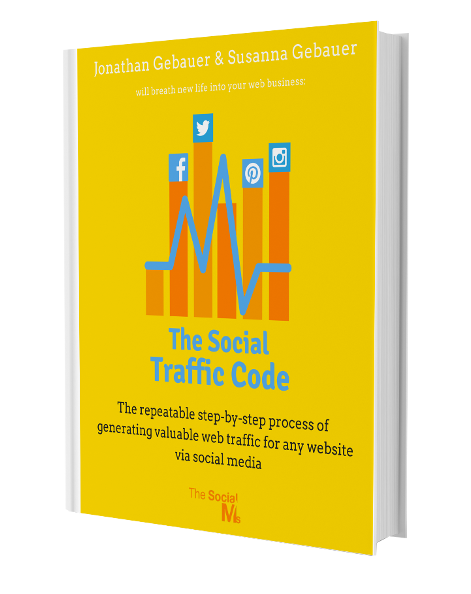 Studies like the Track social study conducted in 2012 have shown that the best way to get more comments and likes is to post 1 or 2 times per day, at most. 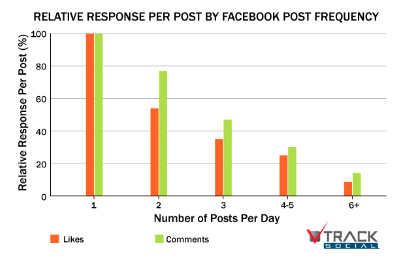 This study also showed that the pages that post to Facebook twice a day only receive 57% of the likes and 78% of the comments per post. If they keep posting more throughout the day, these percentages keep falling more and more. More than those numbers will simply oversaturate your page and make people less interested, while any fewer posts will make you disappear from your followers’ feeds. It’s really very important in the end to just have fun. Make sure that you are having fun interacting with your followers. Post a joke or a funny meme and see how they react. If that’s something you enjoy doing, it will help adding more personality to your brand and making your audience excited to see your future posts. As long as you are having fun and being yourself, you are bound to create posts that get a great response from your followers. These are just a few ways in which you can boost the interaction between your brand and your audience. Facebook can be a great way for you to get to know your audience and their needs. Through this, you can improve your services and make them enjoyable for everyone. 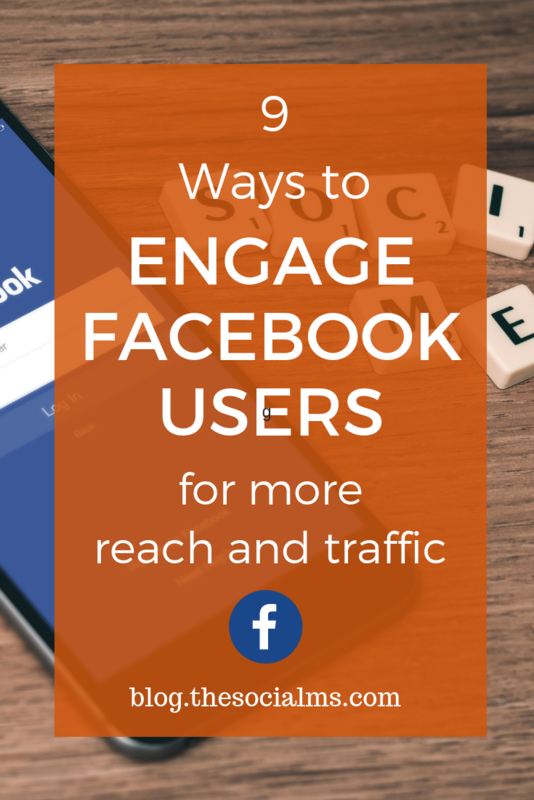 As long as you stick to your plan and you make sure to be approachable, the Facebook users that are following you will definitely want to keep in touch with you through your posts.